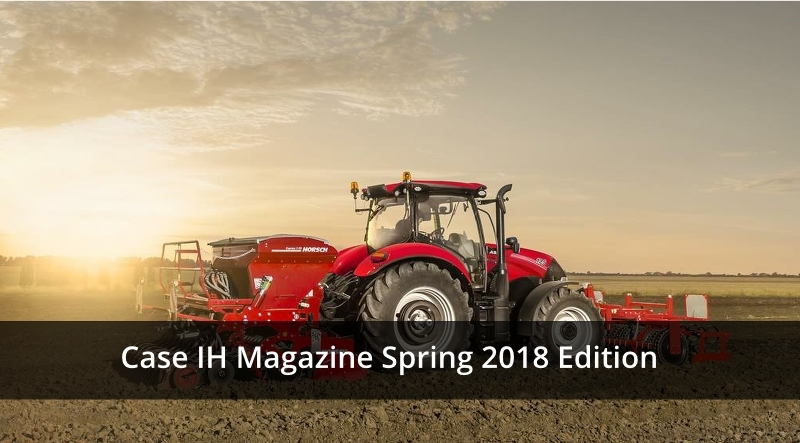 Case IH Magazine Spring 2018 Edition. The Case IH Magazine Spring 2018 Edition is here and is full of expert advice and information on a wide range of parts and service topics. The new Case IH Maxxum tractor now comes with 360 degree lighting. Case IH SilaShield for all your bale wrapping needs. 5 layer construction for superior strength, UV sunlight protection and suitable for use on both conventional and high speed bale wrappers and for use on round and square bales. Get your Case IH machinery prepared for the Spring season with great offers on genuine Case IH filters and glass. Case IH tempered glass is 5 times more resistant then standard glass! Win some great prizes, see the magazine for more details. Special feature on the importance of using only genuine parts for your Case IH engine, clutch and braking system. Tip tips for improving visibility and performance of your lighting system and why original fit Case IH lights will give you the best performance and optimum visibility while you work. Information on the new XCN-1050 and NAV 900 Advanced Farming System (AFS) solution. With an impressive 10 inch display, precision iQ, water-resistance and simplified system architecture, you get great features in an easy-to-use format. See why the Case IH range of balers are vitally important when every bale counts. Why use Case IH REMANPARTS? With some special offers on Case IH re-manufactured parts this Spring, now is the perfect time to give your older Case IH machines a new lease of life. REMANPARTS are covered by the same 2-year warranty as genuine Case IH parts too! Read about the Case IH Service team aftersales support and SAFEGUARD customised servicing packages which have been designed to give you the perfect piece of mind and reduced costs for your Case IH machinery. With so much to read in the Case IH Magazine Spring 2018 Edition, download your copy now by clicking on the link below and contact us for any further information needed on any of the contents.